However, as I’m sure every researcher will agree, the step where you implement these principles is not at all straightforward. State-of-the-art equipment is critical to the execution of research, but many scientific endeavors are held back by lack of access to hardware. If you don’t have the right equipment available to you at the right time, then your research project will either have to wait until resources free up or sit in a drawer until you get funding or, more drastically, move labs. But even if funding could be obtained, the costs and timeliness of acquiring and maintaining sophisticated equipment can be a major impediment to research, and the broad range of resources required to answer complex scientific problems (people, instruments, and software skills) may simply go beyond the facilities that a single investigator or institution can handle. At Waters, we recognize how important research is for ensuring our food and water supplies remain safe, healthy, accessible, and available. So we want to remove barriers to discovery and help innovative research to flourish. Opening this week is a new resource for scientists in this challenging position… and we’re so excited we wanted to share a sneak peak! 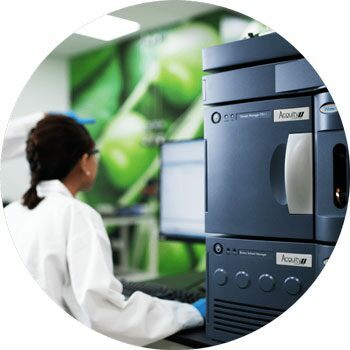 The International Food and Water Research Centre (IFWRC), located in Singapore, will support scientists throughout the world working in areas such as food authenticity, food fraud discovery, water contamination research, food quality enhancement, and new ingredient/formulation studies. More information will be released during the Grand Opening on Thursday September 13, when members of the Singaporean government, Waters executives, and world experts in food and water research will celebrate the launch of this exciting collaboration.